Gillie, aka SP's Gilligan, is a 4-year-old black male born May 2, 2006. His sire is SP's Storm Rider, making his grand sire the famous Oshkosh Slammer, and his dam is SP's J Lo. 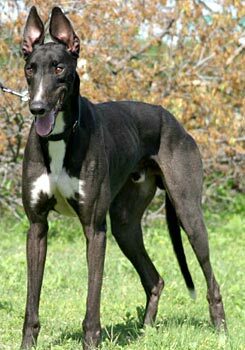 Gillie has 27 races to his name – all at Valley Race Park in Harlingen, Texas. Gillie is quite a handsome boy with a big white blaze on his chest and neck, and a cute white stripe on his nose. He is a really nice, smaller-sized boy who will make a great companion. 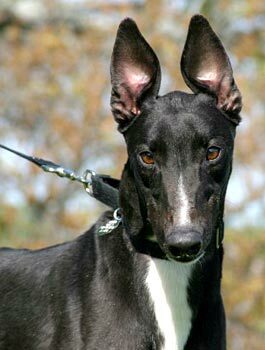 Gillie does need to be in a home with another greyhound for companionship. Gillie is cat and small animal tolerant.